When you’re an adult, it’s easy to feel like your learning years are behind you. But you don’t have to stop gaining wisdom, especially if there’s something new you’d love to learn. No matter what your goals are for your retirement, you can always accomplish the awesome feat of earning your college degree. 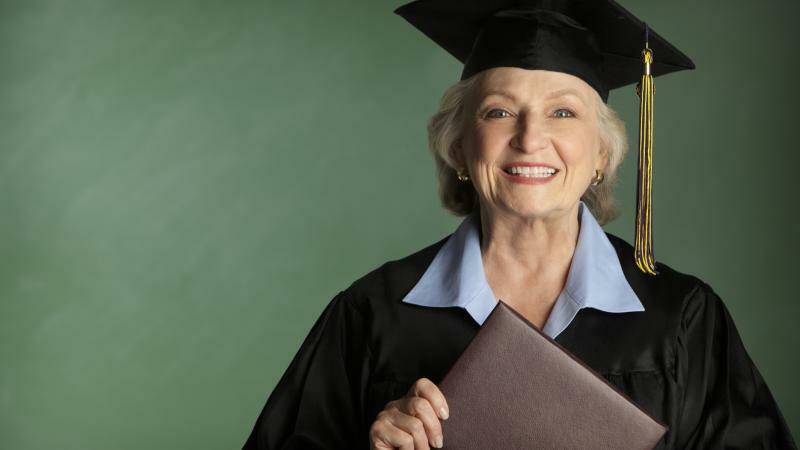 If you’re looking to add to your golden years by learning something new or by completing your degree, an online degree program is the perfect choice – and there are plenty available just for seniors. Here are five online degree programs that are perfect for senior students. The University of Washington is a storied university, and it’s also the perfect place for seniors to work on their degrees – you can study entirely online with ease. The University of Washington¹ offers 18 different online degree programs that can be taken from absolutely any location, and you can also earn a certificate or a graduate degree if you’d like. These online education options take just one year to complete, and if you’d prefer to simply take classes in subjects that interest you, the University of Washington offers a full catalog of options. Online programs are readily available at the University of Minnesota², which offers senior students 21 certificate programs for students of all levels, 17 online bachelor’s degree programs, and 12 online graduate degree programs. No matter what you’d like to study or which degree you’re interested in earning, you can find it at this university. Seniors can even study in-demand fields like psychology, accounting, finance, information technology, and business administration, giving you the opportunity to pursue any interest or work. If it’s variety you’re looking for in your online degree program, consider Mississippi State University. This university³ offers more than 40 different online options, including certificate, bachelor’s degree, and graduate degree programs. From biology and psychology to teaching and business, you can study and explore it all. And seniors can enjoy plenty of online support if they’re worried about learning online. Even more importantly, Online College Plan⁴ reports that seniors can earn their degrees online without paying a single cent at Mississippi State. Pace University is an excellent option for senior students looking simply to learn or earn their degrees. This unique university offers plenty of different associate’s and bachelor’s degree programs, as well as advanced degree programs, entirely online – and there’s a special benefit for seniors. The Pace Encore Transition program⁵ is designed especially for seniors, and its goal is to offer opportunities to those who want a change during their golden years. You can earn credits and take classes online, but you’ll also gain transferrable skills, learn how to use your resources in the ever-progressing world, and gain knowledge of technology and new tools. Seniors also get to work with career coaches and role models, which makes it the perfect option for those in search of something new. No matter your path over your lifetime, there’s still plenty to explore as a senior student at the University of West Florida. This university⁶ is home to nearly 20 online degree programs in different areas of study, giving seniors the chance to learn new information in everything from nursing to English to public health to business. And with hundreds of different course options, seniors can even take classes in subjects they simply want to explore. Even more intriguing for seniors is the University of West Florida’s tuition waiver program designed for seniors. All senior citizens get up to 90 percent⁷ of their non-resident tuition covered, making it affordable to learn. If you’ve long wanted to earn your degree but found different life responsibilities holding you back, there’s no better time to finish the job. Seniors don’t have to give up on their dreams or their education – there’s plenty of time to study your favorite subjects, and earning your degree as a nontraditional student is easier than ever before. In addition to learning through affordable online degree programs, seniors can easily find programs like those mentioned above that are targeted to their unique experiences and backgrounds. And as you learn, you’ll have the chance to sharpen your skills, increase your brainpower, and strengthen your mind. All you need to do is find an online degree program that’s perfect for what you’d like to study, your educational goals, and your retirement lifestyle.